Unassuming and low-key, Jon Manafort is not a man given to pretension or bravado, despite his American-dream story. His deadpan demeanor—somewhat reminiscent of Nicolas Cage in a Coen brothers film—is endearing, though it belies his appetite for excitement. 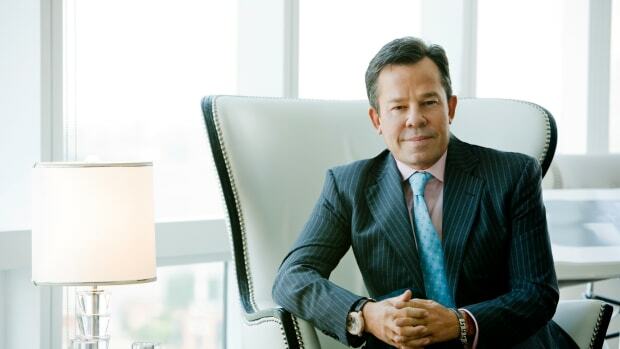 After conversing with him, it’s easy to see he is a man of both passion and compassion. I met Manafort at dinner after a Boys & Girls Clubs fundraiser in Newport, Rhode Island, last summer. 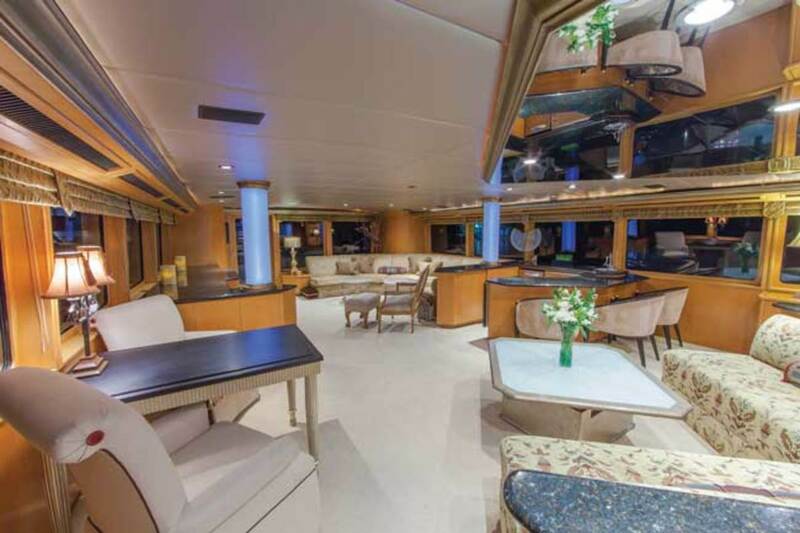 Despite the late hour, he generously invited a gang of us for a nightcap aboard his 106-foot Broward Independence II. The crew had gone to bed, but Manafort was perfectly capable of proffering drinks and turning on the tunes. As we got better acquainted, I realized he was perfectly capable—period. Manafort’s grandfather emigrated from Italy in 1919 and founded the New Britain House Wrecking Company in Connecticut. After World War II, his four sons joined the family business, which was renamed Manafort Brothers, Inc. By the ’60s, the third generation, including Jon, his brother and a cousin, took over and grew the company into a multifaceted heavy-construction and refuse-hauling enterprise. Having begun with around $200,000 in annual sales, Manafort Brothers, Inc. today is an approximately $200 million company. Eight days after the terrorist attacks of 9/11, Manafort Brothers won the contract to assist with the demolition of the remains of the World Trade Center and to collapse several buildings around it. It was six months’ worth of grueling and heartbreaking work, according to Manafort, who recounted the weight of seeing personal items in the rubble and conversing with family members who came to pay their respects. 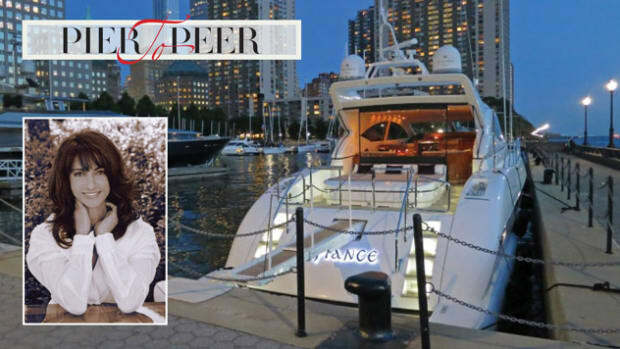 In the early stages, with no hotels open in that part of the city, Manafort docked his first Broward, 92-foot Independence, at Liberty Landing Marina in New Jersey, for him and his workers to live aboard while commuting to the site. 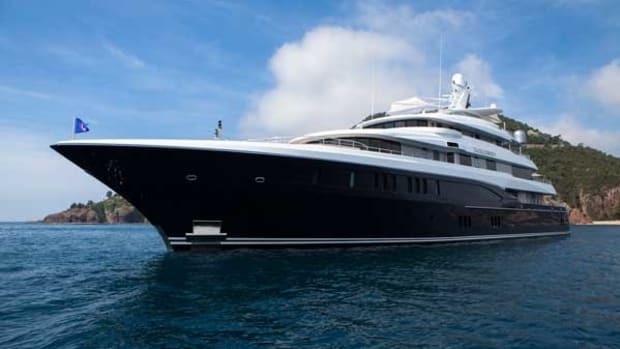 INDEPENDENCE II has proved a popular charter yacht with many repeat clients. Manafort credits much of the success to his captain. 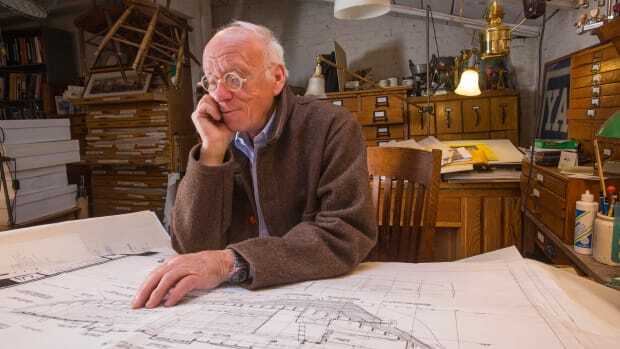 Now retired from the family business, Manafort remains active in his hobbies—racecars, motorcycles and boats—and his new business, ownership of Island Cove Marina in Old Saybrook, on the Connecticut River, where a woodworking shop caters to his interest in restoring old wooden boats. 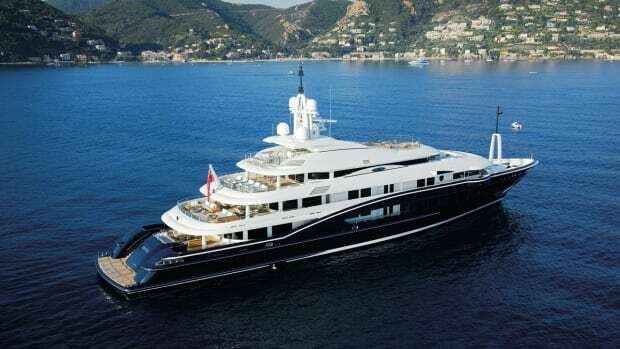 Independence II is too large for the marina, so he keeps her on the move, either on charter or in his private use. Manafort is a man in perpetual motion—no longer destroying things, rather, creating an enviable life post-retirement. 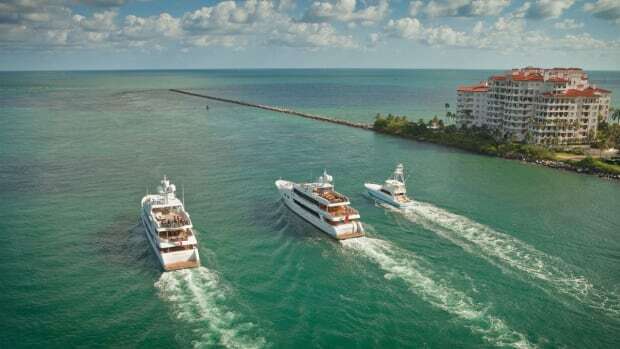 Jill Bobrow: What types of boats interest you the most? Jon Manafort: My family spent time on the Connecticut shore, and I had dinghies since the age of 10. I never met a boat I didn’t like, but boats become a habit. When you have a runabout, you wish you had a head; when you have a head, you wish you had a shower. And so I kept trading up, from a 23-foot Formula to a 31 Chris-Craft to a 38 Scarab to a 40 Chris-Craft to a 43 Viking express—twice—to a 48 Egg Harbor, then to a 92 Broward and finally to a 106 Broward. 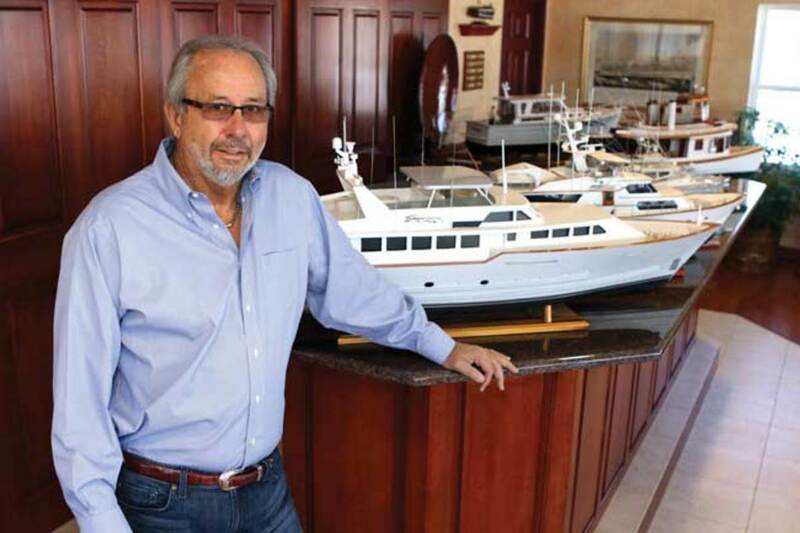 JM: I had some experience chartering over the years, and I thought by owning a charter boat I could afford a bigger one. The Browards suited my charter plans. JB: What’s behind the name Independence? JM: All my smaller boats were named Wrecker—as in house wrecker—but the name didn’t seem right for my bigger boats. I called my 92-footer Independence and my 106 Independence II because I was born on the Fourth of July. JB: Being a hands-on yachtsman, do you skipper your own boat? JM: I’m capable of skippering my boat, but I do have a very good captain. Sometimes when there is a mechanical problem, we’ll look at it together. JB: You must have a good relationship with your captain. JM: My captain, Matt Braisted, has been with me for 10 years. His wife, Kristin, is the first mate. Terrific couple. 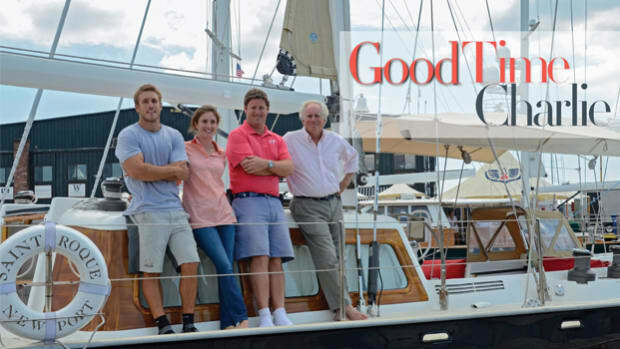 They do a great job maintaining the boat and on charter. A lot of our repeat charters are because of them. JB: Your relationship with your captain is longer than some marriages. JM: I treat them well, and they return the favor. Their kids are the same age as some of my grandkids. We often plan trips together. When we’re ashore, his family spends time with my son’s family. 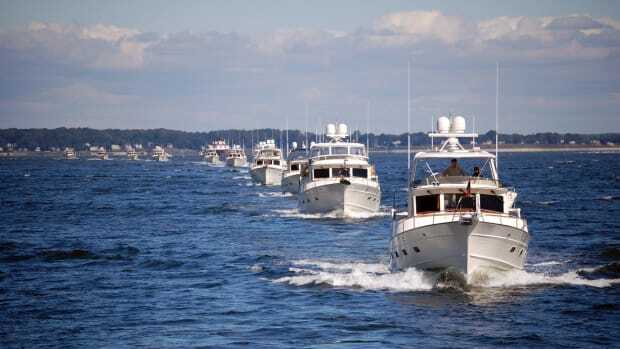 JB: Does your family share your passion for boating? JM: I have two married sons and six grandchildren—three boys, three girls. They all love the boat. JB: What is your usual program for the boat? JM: New England in June or July until it gets cold, then we cycle back to Florida and the Bahamas. JB: Where’s your favorite spot? JM: You can’t beat the Exumas for boating, diving and fishing. Someday I’d like to do the Med, but I’d have to book enough charters to make it worth my while. I also enjoy the passage north and south. I go along one way or the other most years. We cruise a leisurely 100 miles a day and pull into interesting places along the way. Last year, I stopped in Charleston, Hilton Head and Amelia Island. It was a great trip. JB: Besides boats, what other bad habits do you have? JM: Plainville’s racetrack [in Connecticut] was pretty much across the street from my house, so I was very involved in car racing for a time, racing modifieds. After our first son, and with the business taking off, I thought it a good idea to quit while I was ahead. I had to leave town on the weekends so as not to be tempted by car racing, and I began messing with boats on the Connecticut shore instead. JB: Any other guilty pleasures? JM: I love motorcycles. In fact, I just got a new, top-of-the-line 2015 Harley CVO Ultra Limited. 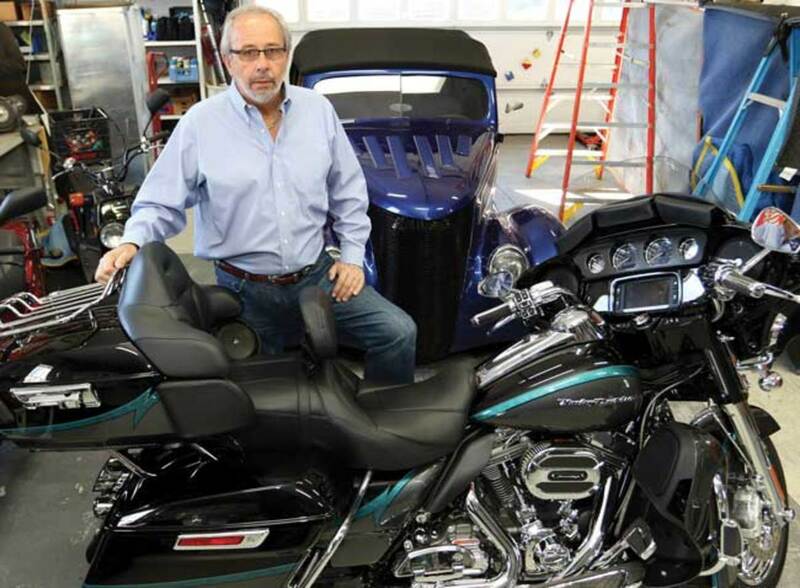 Manafort and his new Harley CVO Ultra Limited. JB: Where do you ride? JM: I go anywhere, but the big ride I do annually is a 3,000-mile, cross-country trip raising money for the Kyle Petty Charity Ride. There are about 150 riders. I’ve been doing it for 20 years and raised over $11 million for Victory Junction Gang Camp, a camp for chronically or terminally ill children in North Carolina. Last year we raised $1.1 million riding coast to coast from Carlsbad, California, to Daytona Beach, Florida. JB: Does your wife share your passion for motorcycles? JM: No, but thank goodness she loves the boat. 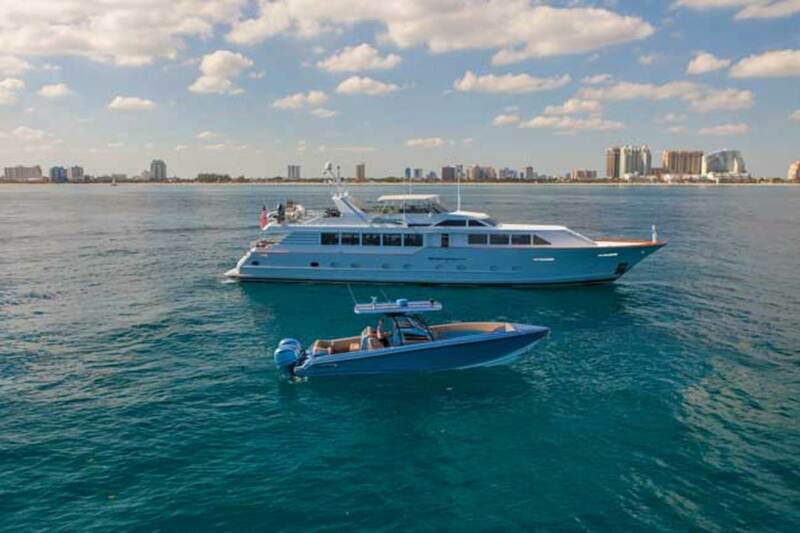 For information on chartering Independence II, contact RJC Yachts (rjcyachts.com) or any charter broker.